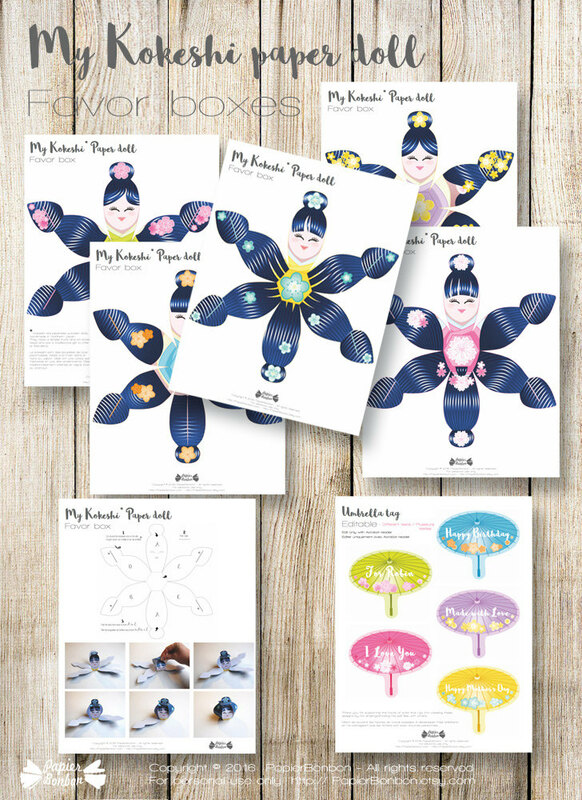 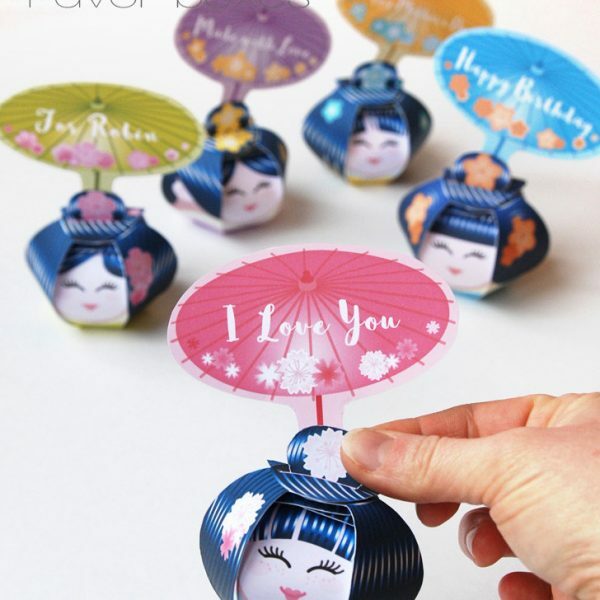 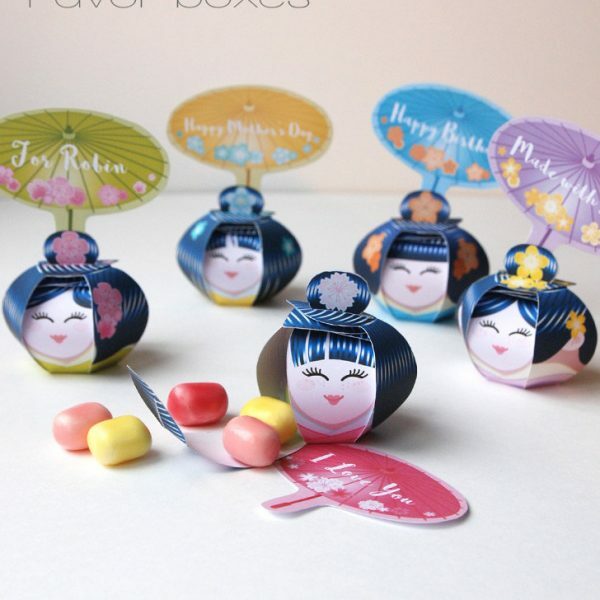 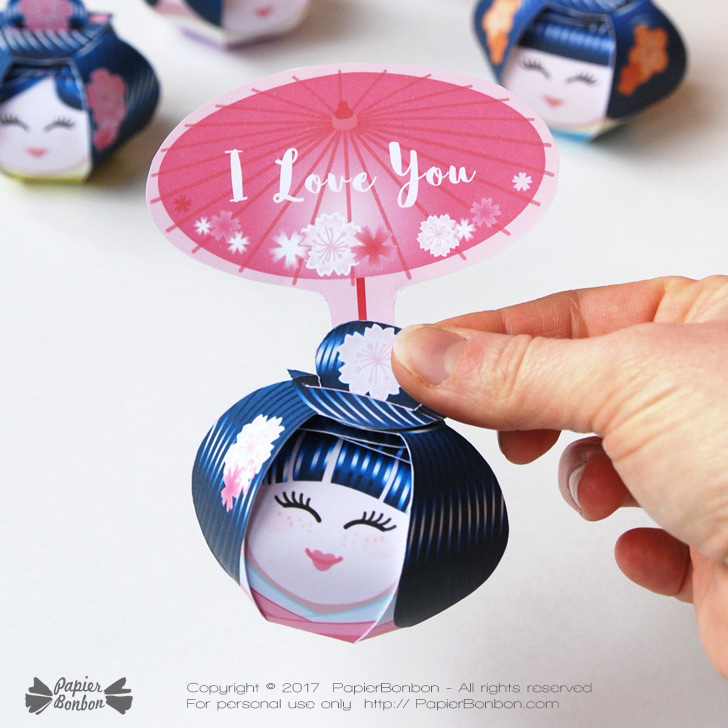 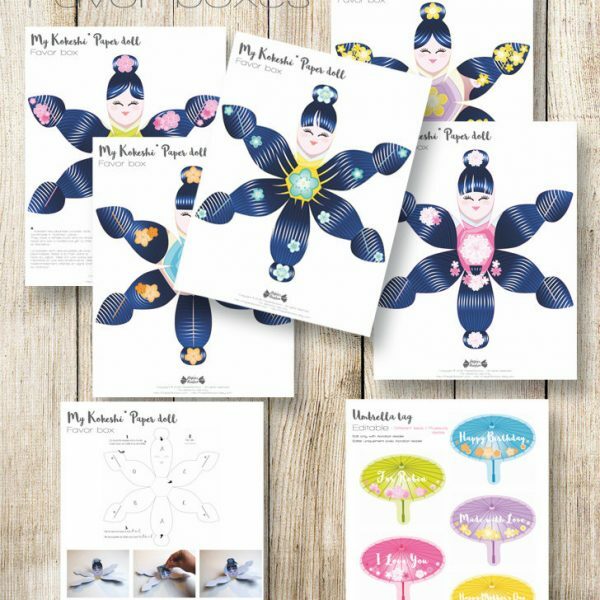 Print & create 5 adorables Kokeshi* paper dolls (Japanese dolls) favor boxes and there editable tags in the shape of umbrellas. 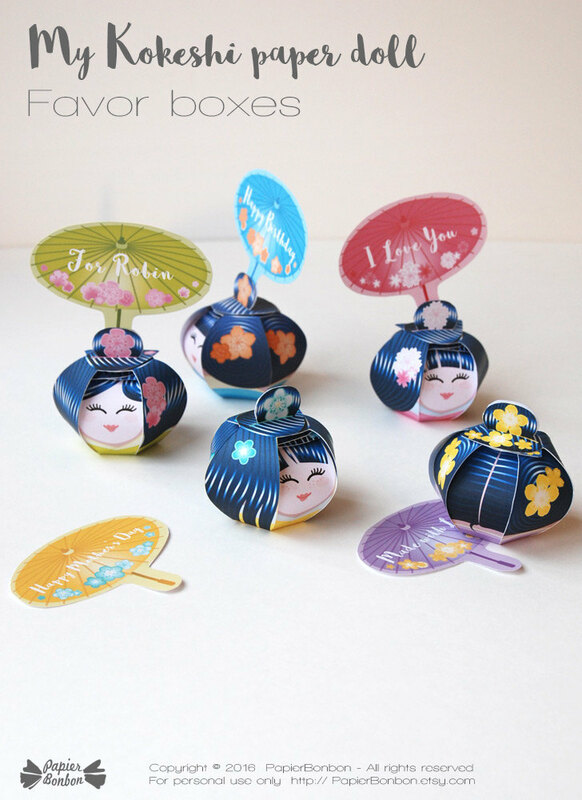 *Kokeshi are japanese wooden dolls, handmade in Northern Japan. 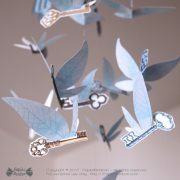 They have a simple trunk and an enlarged head and are a traditionnal gift to offer love or friendship. 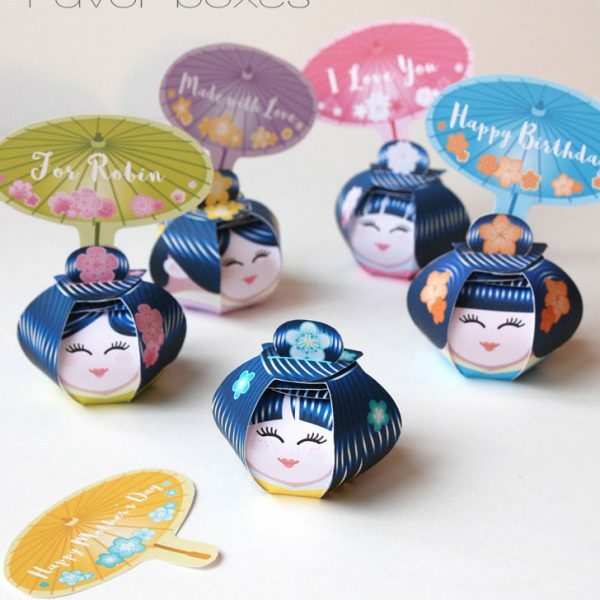 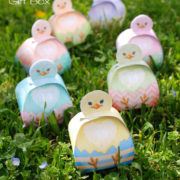 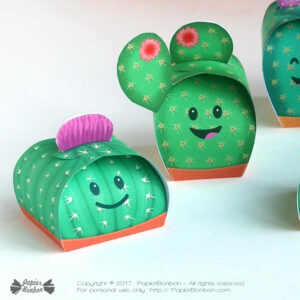 I imagined these paper gift boxes inspired by the kokeshi. 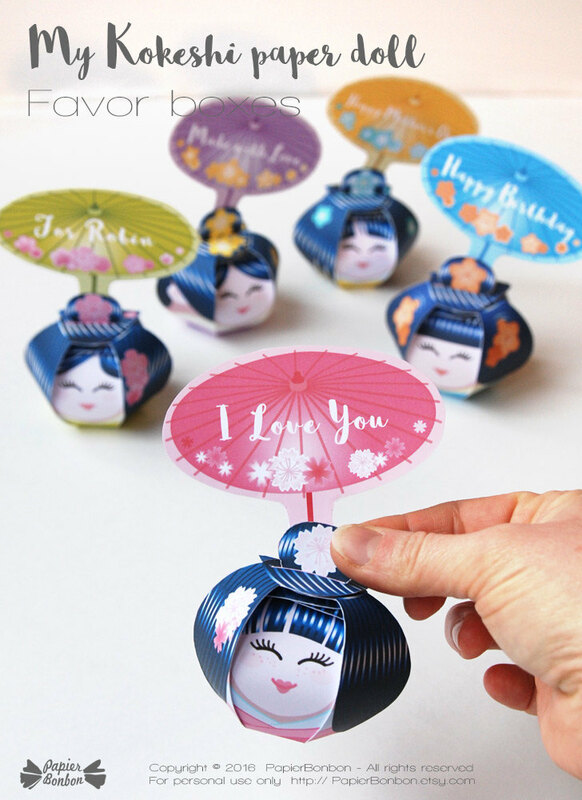 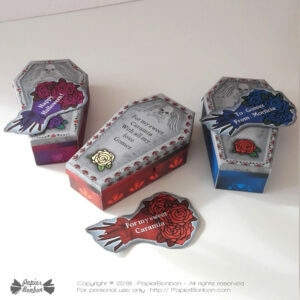 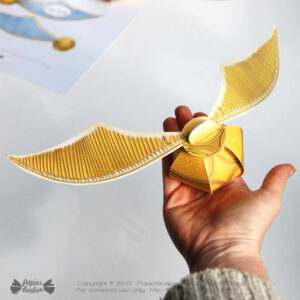 They will make lovely favors for a party: Fill them with candies, chocolates or small gifts and edit your own text on the tag (in acrobat reader) to make extra special gift. 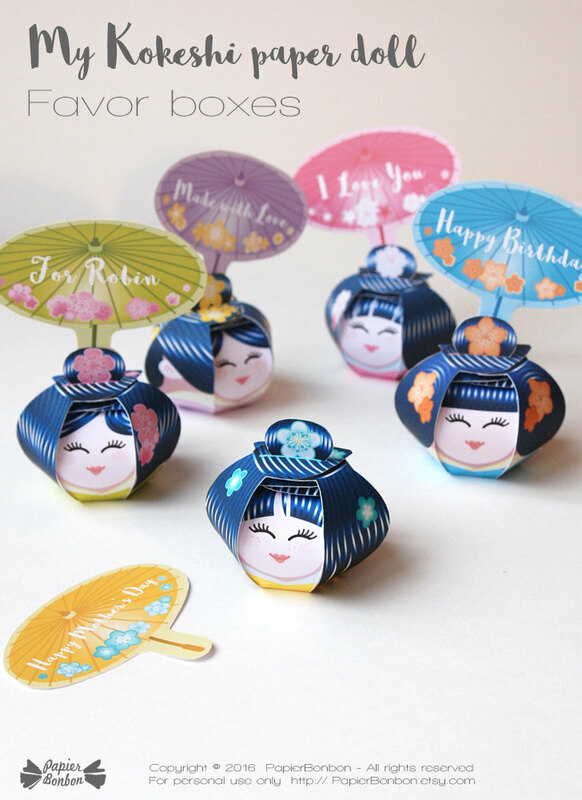 The Kokeshi dolls come in 5 colors. 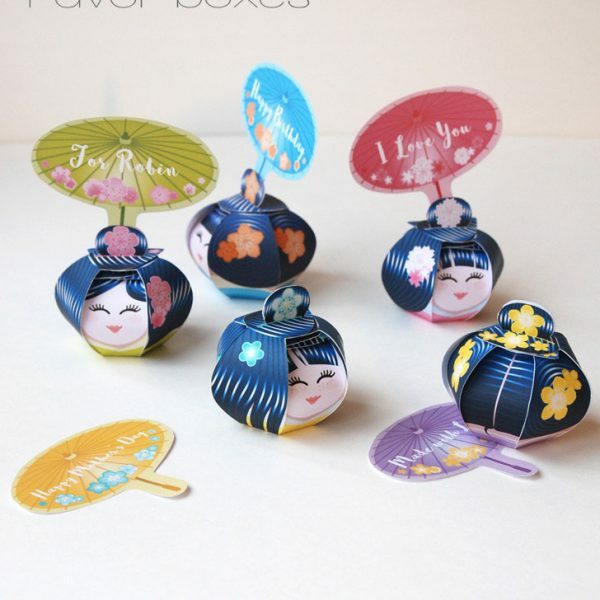 They look a little like geishas with beautiful black bluish hair. 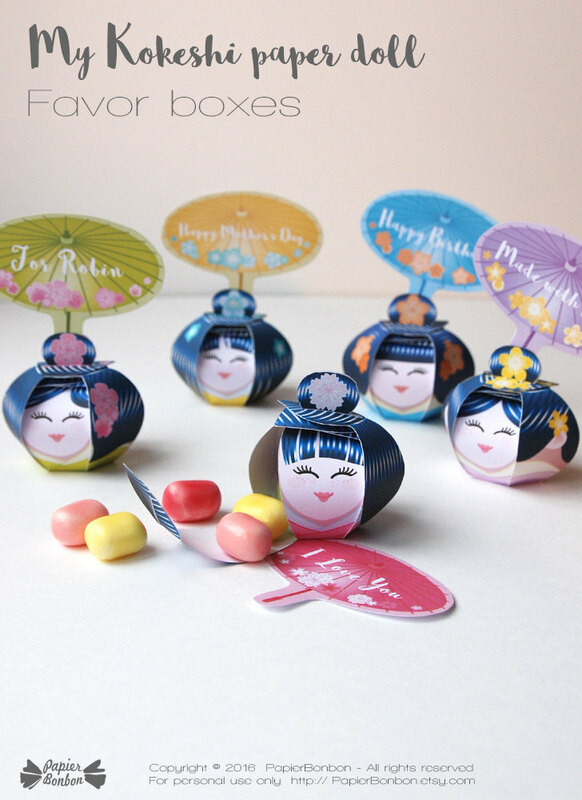 Each box is unique with a different color and hairdo and japanese style blossoms. 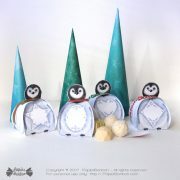 They are about the L 3 X W 2.5 x h 2.5 inches. 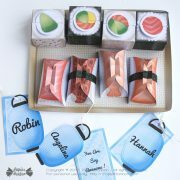 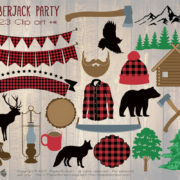 Editable Tags: 3.5 X 2 3/4 inches.